Texten nedan är på engelska. Årsprogrammet kommer hållas på engelska eller svenska eller lite både och beroende på deltagarnas språk. Kom och utforska mer kring att vara kvinna bland kvinnor och få utforska mer av tantra och den magin tantra kan ge dig i ditt liv!
. We are living in exciting times, the feminine is on the rise. We know you have travelled for some time. Do you feel the call to go even deeper? Embark on a journey with us. 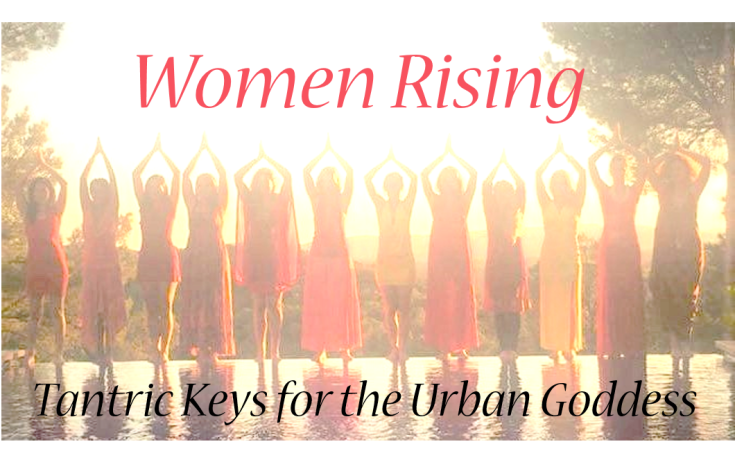 We provide a platform for your continued rising, a safe haven where you can expand your capacity to feel pleasure & create your authentic way of living.This is a unique 1-year program for women. It is based on four weekend modules with professional support in between. The language will be Swedish or English depending on the need of the participants. During the program you will receive tantric keys to unlock your own potential. Exercises during modules will be based on life coaching, breathing, dance and movement, meditation, ceremonial work, tantric exerices, touch, inner child healing, tool boxes for modern inner & external leadership and scientific methods for self development. There will also be support between the modules. To be in this year program deepens your process beyond your expecations. We are doing this together. As sisters we are creating a secure, loving and nutruting environment. Apply by paying 1500 SEK to bg 276-7127 or Swish 123 326 1997, Paula Nygren Lust in Life. And contact us on womenrising@lustinlife.se or 073 731 46 56 Paula, 073 962 55 46 Anna. Early bird (apply before 1 st of June): 12400 SEK After 2/6: 14400 SEK. Price includes all 4 weekend modules and also food and lodging on modul 4. You can pay the whole fee at once or divide the costs into four payments of 3600 SEK/ each to be payed before each module. The first payment is to bev payed at the 25/7. You will get an invoice minus the registration fee. Anna Birgersdotter is has been facilitating women circles for over 10 years. She also has a background from cancer resesarch including a PhD. Now she teaches at Karolinska institutet (including leadership). She is loved for her ability to create a vulnerable safe space & guide women deeper into the mystery that is you. We are sharing our keys that have unlocked our lives, keys that have helped us through hard times and expanded our possiblities. Keys that we love and feel honored to share with other women. Our aim is to provide a safe space where we support each other. Tantra is an ancient tradition providing tools to explore and expand conciousness to achieve a deeper realization of what it means to be alive. The word tantra is a mix between the words expansion and focus (in sanskrit). It is an accepting and life affirmative path. One part of tantra includes working with your sexual energy. Cancelations before 24/8 will be invoiced 50% of the total fee for the whole year. Payments are non-refundable 14 days before course starts.